Location: Given to characters who have Wooden Staff as their no-drop weapon, and then upgrade to Guardian. It can also be semi-permanently swapped in the Guardian Tower by paying 20 Z-Tokens. All normal Player attacks and weapon Specials deal 123.6% damage, this does not affect Guardian Dragon. Its appearance changes based on its current Element. Please note that, while the in-game display does not update to show these numbers, the damage does really increase. *The weapon grows in power to match you! It does «» damage with +«» to hit! The elite weapon of BattleOn's magical protectors. Its devastating damage comes at a gamble as it randomly shifts elements. It grows more powerful as you do. Images thanks to BlackAces. Numbers thanks to In Media Res. Correction thanks to Chii. Also see Guardian Blade, Guardian Dagger, and Guardian Spear. Location: Given to characters who have Wooden Staff as their no-drop weapon, and then upgrade to Guardian. The weapon's damage increases as you level up. This affects all normal Player attacks and weapon Specials. The Guardian Dragon (and family). 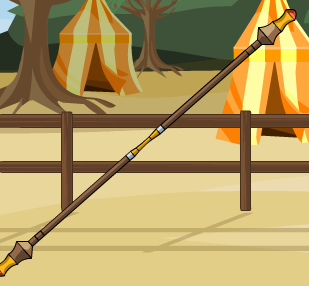 The elite weapon of BattleOn's magical protectors. Its devastating damage comes at a gamble as it randomly shifts elements. It grows more powerful at levels 40 and 70. Stats from Kalanyr (via Crimzon5 and Hell Dragon). Corrections from pingpongor and cbouncerrun3. Links from BadHulk.